Dog Profile: SG Lou Lou Kosava is a beautiful black and red female with a happy personality. Lou Lou loves her family and loves to play anytime! She also gets along great with other dogs. 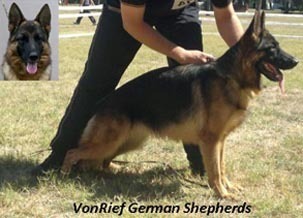 Lou Lou's pedigree goes back to many V/VA rated dogs including VA1 Urbo vom Leithawald, VA9 Furbo degli Achei, 2x VA1 Vegas du Haut Mansard and VA2 Quenn vom Lohrer Weg. Lou Lou's hips and elbows are ratd A1/A1, the highest German rating. 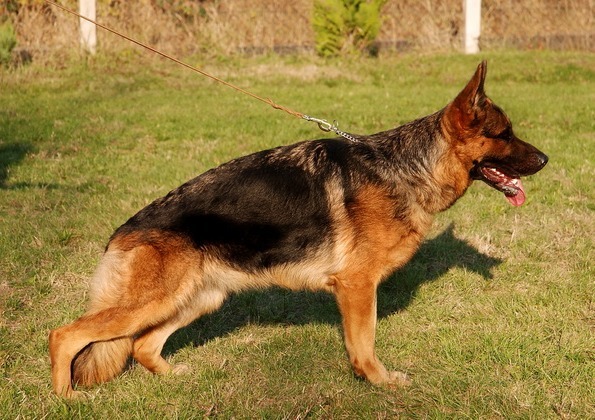 She has passed her OFA cardiac testing and has been tested for degenerative myelopathy (DM) and is clear. This means that she will not produce puppies with this horrible disease. She has also passed her OFA cardiac test. 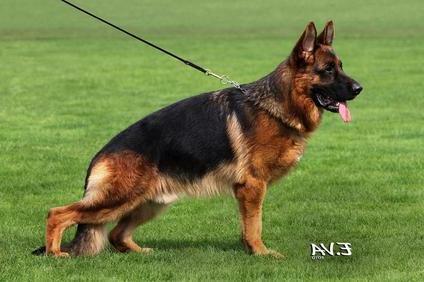 Lou Lou passes along her happy temperament and healthy bloodlines to her pups. She also produces beautiful, large heads and darker masks.